A year ago, 2011, my Gardening Journal reports that the tomato seedlings spent the night outside. Not this year! The cold frame is closed up tight, the agastache is covered. 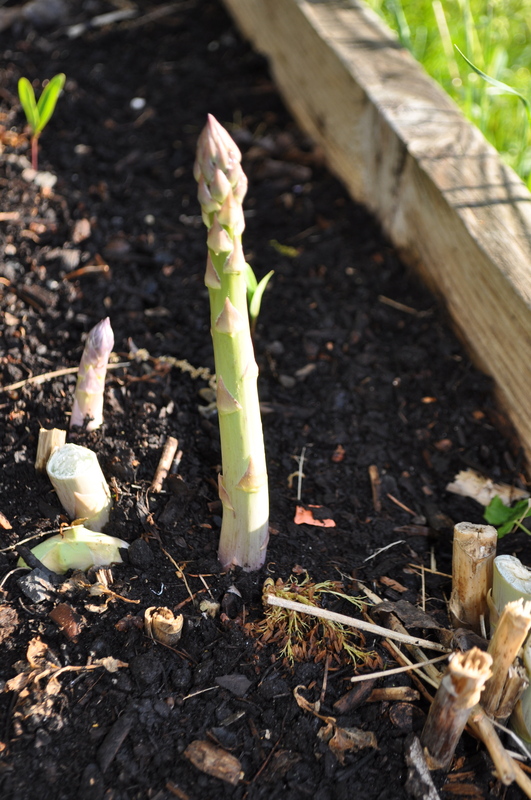 The asparagus should be able to withstand a slight freeze. 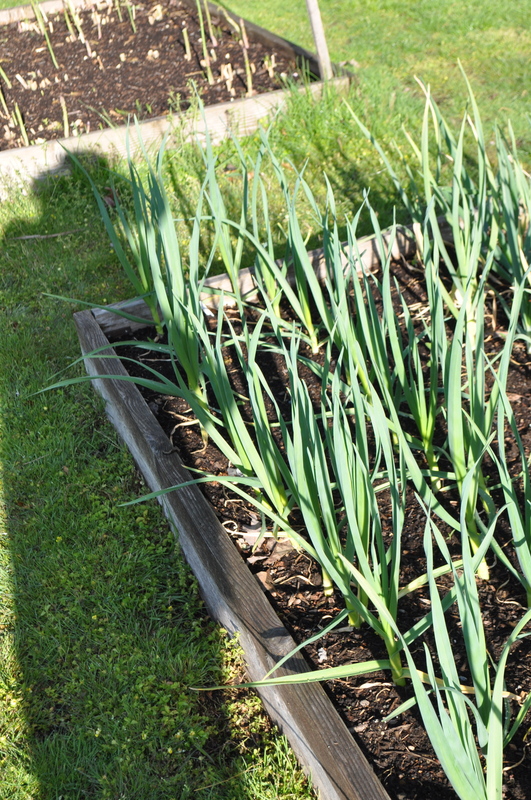 The garlic doesn’t mind the frosty breath of morning as long as the sun comes out bright and strong. The daffodils will bloom even in snow, no worries here. Mathilda, you will be coming in tonight. You were meant to brighten the Easter table and then be planted outside….but not yet! This is not the night to leave house plants outside! A year ago, you might left them outside and a year ago, you might have gone to bed early in order to rise for Kate and William’s nuptials! 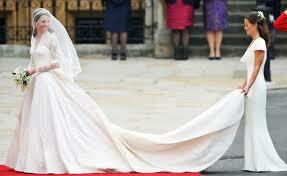 Happy Anniversary Kate and William! P.S. If you are an anglophile like my grandmother was and I in her footsteps, and love everything about English gardens, I recommend stopping by the latest post on a favorite blog, What ho Hidcote! Photography is sensitive and informative on all subjects of gardening, but most captivating is the insider’s look at Hidecote Garden – one of my favorite garden visits in my gardening years!!! 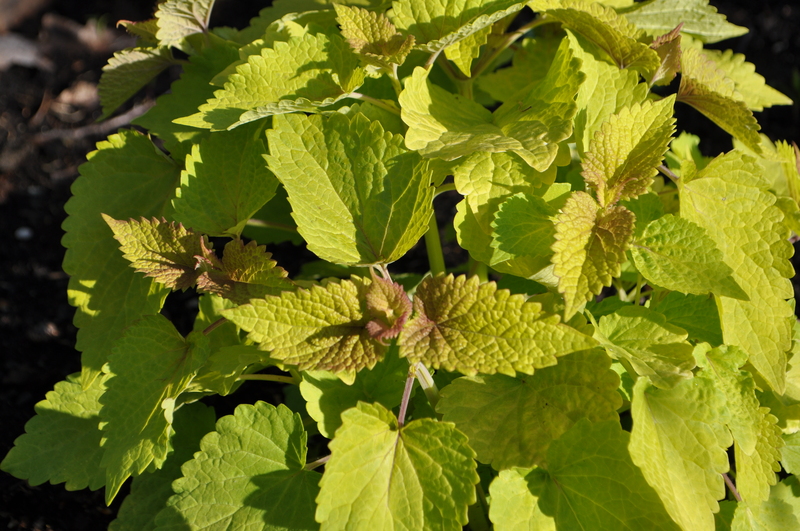 Dear readers, I am still waiting for the wise sage/gardener to tell me what this is in my garden. I’ve only had one brave gardener hazard a guess – I think she may be right! Another mystery in the garden was solved this week, by our wonderful CT State Cooperative Service! We noticed dead branches and brown leaves on two of our large hollies next to the house. Upon further examination, we found this weird design on the bark of the trees! 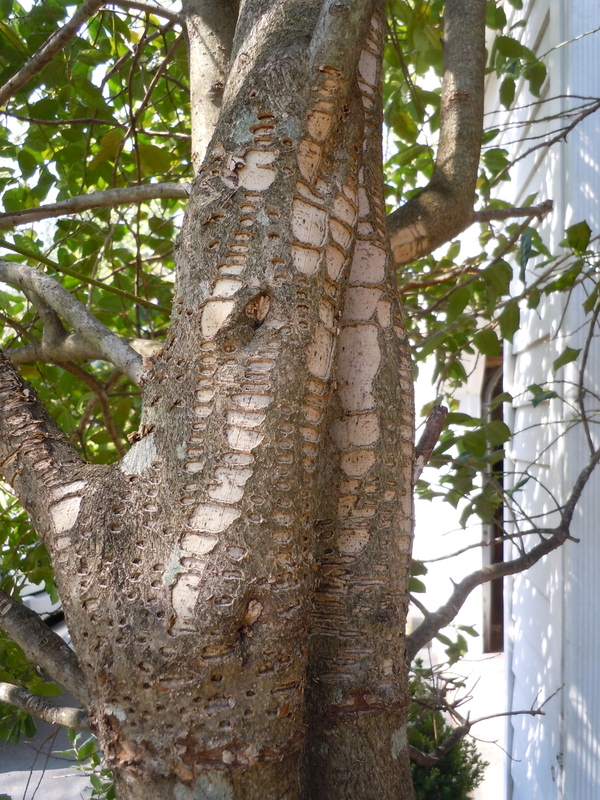 We’ve been told by the expert that this is the work of a yellow-bellied sapsucker, who drills holes in order to produce sap which they feed on. We have had to wrap the bark to prevent further damage and hopefully to discourage insect damage. Isn’t gardening fun? This entry was posted in Uncategorized and tagged asparagus, frost, garlic, Hidecote. Bookmark the permalink. I’ve never seen the like of that holly damage – although it does look rather pretty – a bit like a ladder in a pair of stockings. 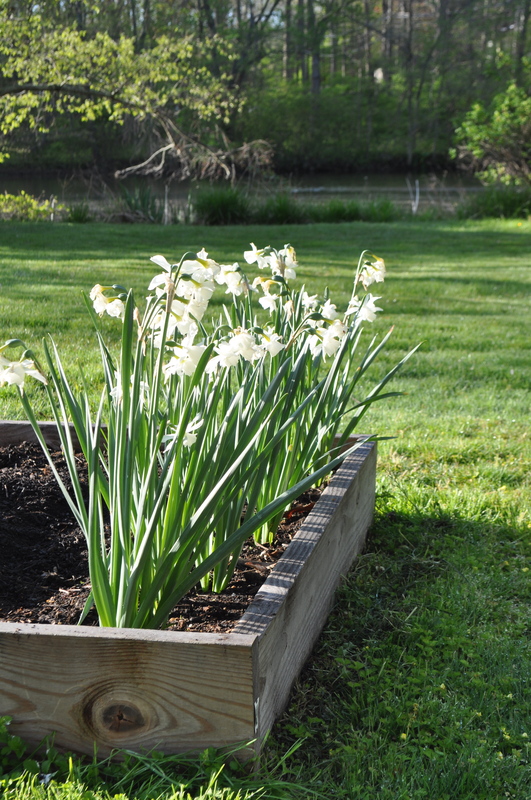 Everything is looking good in your garden – we are having awfully rainy weather here – no chance for outdoor planting yet. Oh that poor Holly. Let’s hope it heals over ok before other insects get to it. 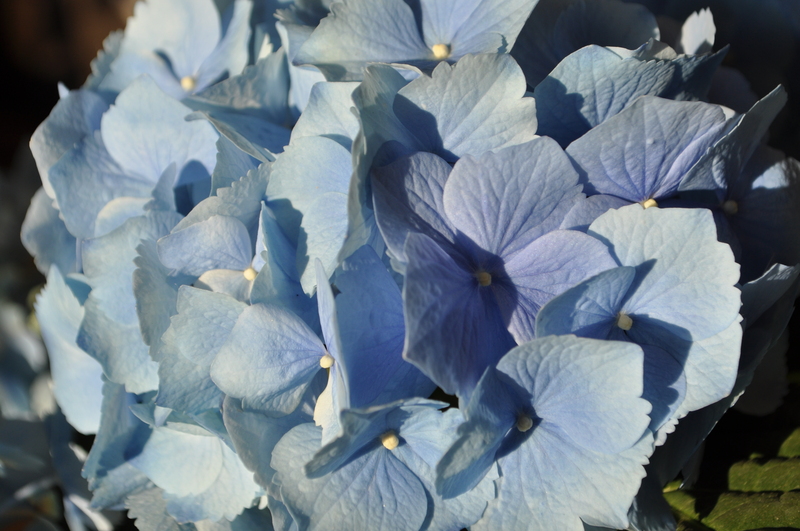 Your Hydrangea looks lovely. yellow bellied sapsucker …. hmmm … that sounds suspiciously like something our father might have said … and not in a nice way! Could he have known what destructive little twirps they are?